Do you sometimes yearn for quietness, or wish you feel more confident stepping up to speak out? Perhaps you’ve experienced sublime, expedient or ugly times of silence - sheesh I know them all well! If you feel too busy for quiet moments, I encourage you to simply enjoy a big breath now, step outside to connect with fresh air or the natural world when you can, and start building these nourishing pauses into your day. Right now I am blessed with some delicious solitude, as my partner and our little “LIGHTSTORM” threenager are out doing errands. I’m grateful for this opportunity to reflect deeply on silence and its gifts, some gutchurningly quiet moments in my life, and such stories that limit or empower us. If you tend towards introversion too, wrestle with perfectionism or shame, or ponder the spectre of humble pie or tall poppies - you’re not alone. Let’s be courageous in connecting, celebrating wins and learning from failures, and supporting each other while honouring our own needs. Success, leadership and innovation, along with so many good things in life, are all enhanced with our powers combined. I fell silent when I was eleven. I remember the quiet moment clearly, the woodchips upon the school playground and the pace of the handball tournament firing up behind me. Disappearing behind my eyes as I looked at kids around me, some of them friends since kindergarten, I decided not to speak. There was a certain satisfaction in this moment. I can trace a sense of agency and quiet independence that runs through my life, as well as many less noble qualities. But looking back at this much-loved and happy kid gone angsty, it feels sad that in this arid decision I sought no support from others, no priest or parents or friends. I kept up the silence a few days, with childish stubbornness saying nothing to other kids whatever their concern or teasing, and speaking bare minimum to parents and teachers to avoid attention. Instead I felt deep and creative, considering big questions and the sublime beauty of our natural world. I relished embarking on ‘solo flights of thought’, as Susan Cain describes so eloquently when championing introverts. This episode also marks an early choice to wear masks, hide and disconnect. Quietly, earnestly and inquisitively, I became a high achiever, passed exams to get into a top school, attained the great grades and roles, and made the beautiful things that earned me approval. It proved very useful to ask good questions and listen deeply, and help others shine rather than opening up to share my own views or fears. Bending time and space with efficiency and positivity is super (except when sidestepping burnout). Heaven forbid wasting your time, risking rejection, or erring on any other side than caution. Rarely being truly seen or heard, this approach worked pretty well for me for much of my life. Contemplating the river tides with my littlest collaborator. So many people I speak with share this pattern of superachieving at the expense of presence. Busily doing rather than being. Playing safely masked or invisible. I so get it. In more recent years however, I am cultivating emotional awareness and looking after my mental health. Silence is precious (even more now with lilun) but it doesn’t define or protect me. While my ego often stings, I’m choosing not to simply chase intellectual and material validation, which disappear faster than my secret chocolate rations. I’m practising being present to meet what is. And to talk about it! I have come to understand how powerful it is to be open with my story, share insights and ask support, and to be seen with my guard down. Sharing our stories is valuable for all of us. For women - who frequently underestimate our abilities while facing expectations we appear perfect and nurture selflessly, rather than speak up, lead and create history. Whoever you are, sharing stories has power in bringing us together across diversity, cultural heritage, senses of identity and ideology. And yes, research tells us that stories help make all our hardwon data and information 22 times more memorable. Stories of triumphs, failures, heartbreak and resilience, slapstick and seduction - each of these tales of ours have capacity to inspire and empower the right audience at the right moment. Our stories can also be raw, painful and challenging. I do not expect you or others to take up emotional labour of storytelling, but invite us all to listen deeply and expand our horizons with the narratives we share. 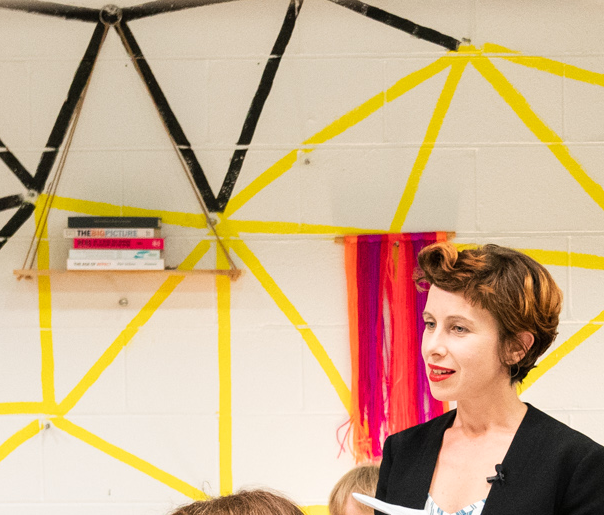 If storytelling is not a superpower you currently enjoy, I have crafted for you here this simple guide to why and how to step up with your story. Dancing on the Donau Kanal, aka serious art student in Vienna, c2007. In my more footloose and glamorous late 20s, I was studying art in Vienna. Post-Conceptual Art Practice, to be precise, which entailed extraordinary critical and political discussion with brilliant artists, intellectuals and students from around the world. And I was immersed in learning German as I studied, created artworks and made parties. Awesome, exhausting, genau. 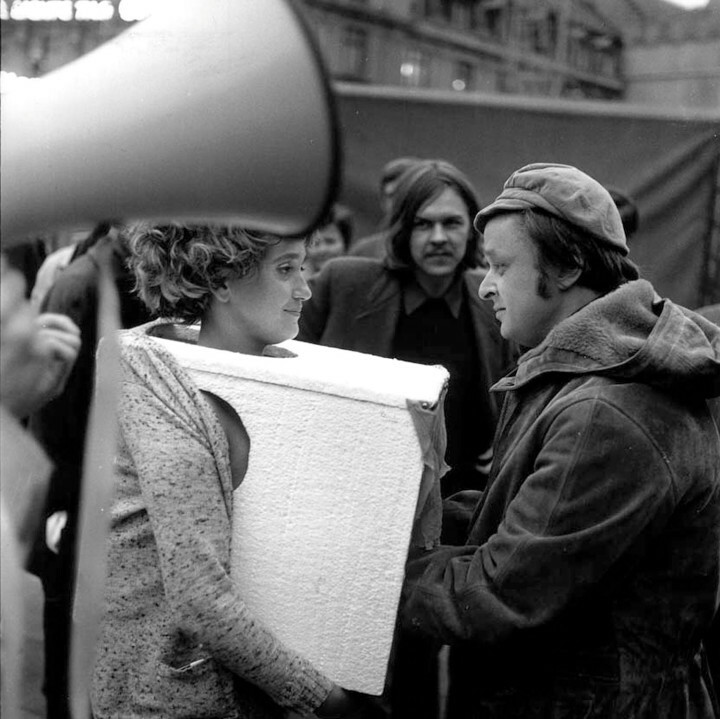 VALIE EXPORT, TAPP und TASTKINO (TOUCH and TAP Cinema), 1968. One evening the Austrian artist VALIE EXPORT was presenting a guest lecture, to packed audiences as she is a famed feminist, actionist and ‘expanded cinema’ artist. After a long day of attempting all my study and interaction in the German language, I was zonked and clearly not understanding much more. Valie spoke eloquently about lots of feminist and important things that I couldn’t quite decipher. Projected behind was a slide of her 1968 performance, ‘TAP and TOUCH Cinema’, where Valie invited strangers to touch her breasts through a mini cinema she wore on her torso. It seemed to be one of many important moments of insights and experiences shared, alles auf Deutsch. I started tiptoeing towards the exit beside the stage. And fell over. Crash - face on the ground below Valie speaking - stunned silence from all. A prone woman on the ground as the revered feminist artist spoke. I looked up, and said ‘Weiter, bitte.’ Continue, please. Nice and polite, efficient as ever, quickly shamefaced out the door. Moral of this trip? Such a little moment that I’m sure everyone quickly forgot. But @#$* imperfection and embarrassment centre-stage can be torment, even after over a decade. And it still offers a choice. Now I’m staying in the arena. Speaking up AND tuning into quiet when I feel recharging, reflection and deeper cultivation is called for. And laughing and dusting myself off with every stumble! Sharing my own experiences, insights, stories and ambitions, as well as listening deeply and with respect to yours. What has silence meant for you? When have you stacked it, dropped metaphorical balls and made mistakes you wince at? How are you inspired to step up and share your brilliance?